Yamaha Offers 2 Ray models in India. Yamaha Ray Z is the lowest priced model at Rs. 50,817 (Ex-Showroom) and Yamaha Ray ZR is the highest priced model at Rs. 53,451 (Ex-Showroom). Yamaha's efforts to tap the potential of scooter market in India culminated into the launch of the Ray scooter series. 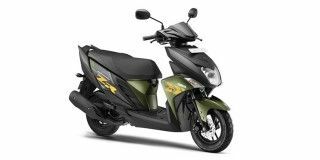 With edgy styling and a peppy 113cc engine producing 7.1PS of power and 8.1Nm of torque, the scooter is an ideal city runabout. The smooth variomatic transmission makes the scooter fun to ride and blue core technology ensures the scooter is fuel efficient as well. 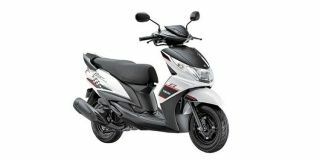 The claimed mileage stands at 43kmpl and another variant, with disc brake, aggressive styling called the Ray ZR is also available for those who are looking for more pizazz in their scooter. Q. What is the fork tube size in Ray-Z scooty, 32/35mm? Priced at a premium of Rs 2,000 over the standard variant, the Ray-ZR Street Rally Edition comes with a digital instrument cluster, new colours and more!